I've been tagged by Mama Pajama with this Image Meme. Here are the rules:1) Go to Google.2) Click on Google images.3) Type in your name and search.4) Re post (w/ a link) the picture of the oddest, craziest, strangest, coolest, oldest, etc. person that shares your name. Post multiples if you find a few you like.5) Pass it on to at least 5 other people. 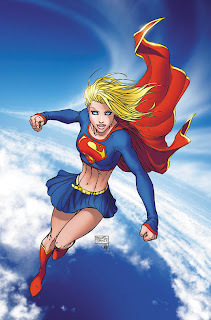 Here's the one I liked most :D It's Super-Kara! I]ll work on this, your last tag still has me lost though! Very appropriate....you deserve it after your run! Thanks for playing along!